Egg donation is one of the most advanced technological milestones achieve in the field of surrogacy. Infertile couples struggling to have an embryo with their eggs can now borrow eggs from an equality donor and complete their cycle. This is a readily available procedure where you get to acquire eggs from a different female and use it to make embryos. Of course, the egg donors are properly screened before the procedure. There are egg donors with proven fertility and good family background, who work to serve you in your embryo development. As an intended parent, you can select from the list of egg donors working with the surrogacy agency that you are registered in. You have the choices of selecting the one as per your expectations and desires. The endometrium of the patient is prepared in this process and matched with the egg donor. The egg donor’s eggs are retrieved from the ovary after they are stimulated with injections. The eggs are fertilized with the male intended parent’s sperm artificially. This leads to the development of healthy embryos. The embryos are then introducing to the surrogate’s uterus to form the pregnancy. Families who hope to have babies through the help of an egg donor sometimes might require a surrogate mother to carry the gestation. At times the intended mother’s womb is not sufficient to carry the gestation successfully. Couples, who have had miscarriages before usually hires gestational carrier in the form of a surrogate mother who carries the baby in her and delivers it for the intended parents. 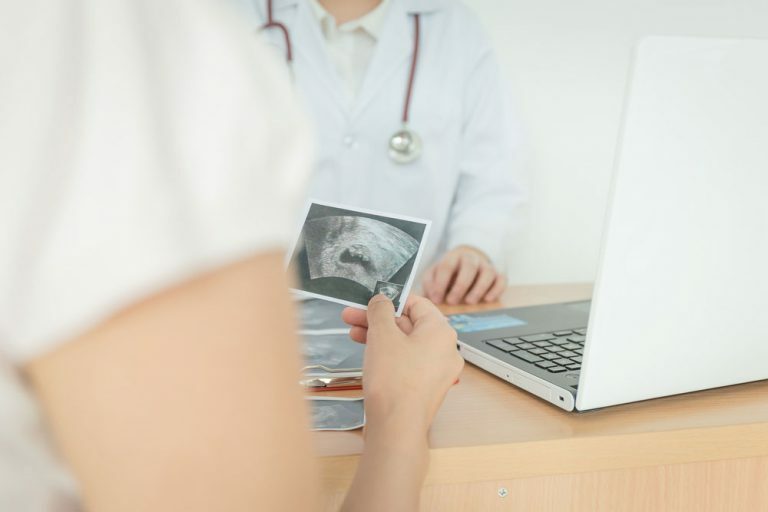 The surrogate is usually not related to the baby and only offers professional help to provide the baby with a secured shelter after IVF with another egg, which can be a donor egg. Several women face issues with their uterus that prevent them from carrying their pregnancy safely and complete the term. The missing uterus can be one of the major reasons for this. This can also might happen due to other health difficulties. Some women face the problem of low-quality eggs due to genetic factors and sometimes due to poor ovarian health. Having an egg donor in such situations enable the woman to have healthy embryos. She can again go for hiring a gestational carrier to complete the pregnancy term successfully and get the baby delivered. Male couples who want to have their babies can use an egg donor and a surrogate mother for their surrogacy procedure. This is for all those who find adoption to be a daunting process and wish to have a genetically connected baby. This gives them a chance to start a family. If the intended couple wishes to go for a live egg donor, the procedure of surrogacy might get prolonged. They can go for frozen eggs for the IVF cycle to have to reduced time. The embryo formed of the donated egg is introduced to the surrogate mother’s womb to form the pregnancy. She carries the baby and shelters it throughout the time of gestation. She is responsible to take care of her and the baby as per the doctor’s guidance and instructions. Surrogate mothers are usually professionals in this field and they know the do’s and don’ts of their business. They are affectionate and at the same time practical in their approach. Intended parents can have access to various donor egg banks and opt for frozen eggs. There are a lot of advantages when you use frozen eggs for your IVF procedure. The screening and retrieval of the eggs are already done as you choose them from the bank. This is your time. You are also saved from a lot of worries that might have keep you occupied otherwise. You also save a lot on your expenses as you choose to select a frozen egg for your IVF procedure. The travel and legal expenses are saved as you do not have to incur such expenses on the egg donor. Some people are under the misconception that donated egg cannot bring them the desired results. As a matter of fact, donated eggs are all screened and fine in quality. They bring you effective results. The success rate of surrogacy by using a donated egg is almost equal to the success rate of surrogacy with live eggs. The egg donors are carefully screened before their eggs are retrieved. The eggs are cryopreserved with immense care. There is no risk involved in using a donated egg. The rate of success is high and is almost up to 85% in using a donated egg for surrogacy program. « Why Are Guaranteed Surrogacy Programs Better?